Are you ready for some football? Me too. I can’t say I clear my schedule every Sunday throughout the season (my small people play too many of their own sports for me to pull that off), but I do love Playoff and Super Bowl celebrations. It is a great excuse to get together, have some amazing food and…well…just throw a little party. Oh…and who doesn’t love all of the creative commercials that pop up during the game? It’s always a good time to see the friendly competitions that pop up as everyone roots for their favorite teams. 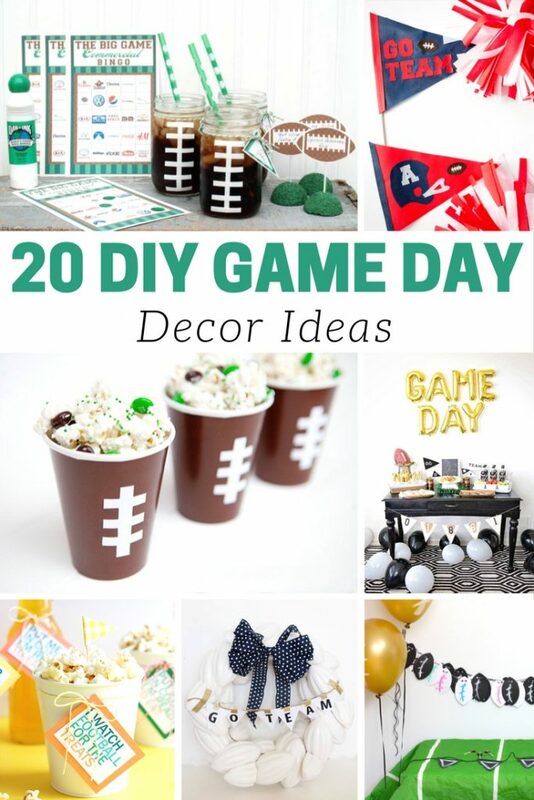 In case you are thinking about hosting a little game day get-together….I have pulled together a collection of decor ideas I think you just might love. From wreaths to printables….virtually everything on this list will have you flexing your DIY muscles….but the results will be sure to impress your football loving friends. Will you be hosting a party? And who will you be rooting for?